Blue Cibachrome and Two Fixed Intervals. What is the difference between a duck? 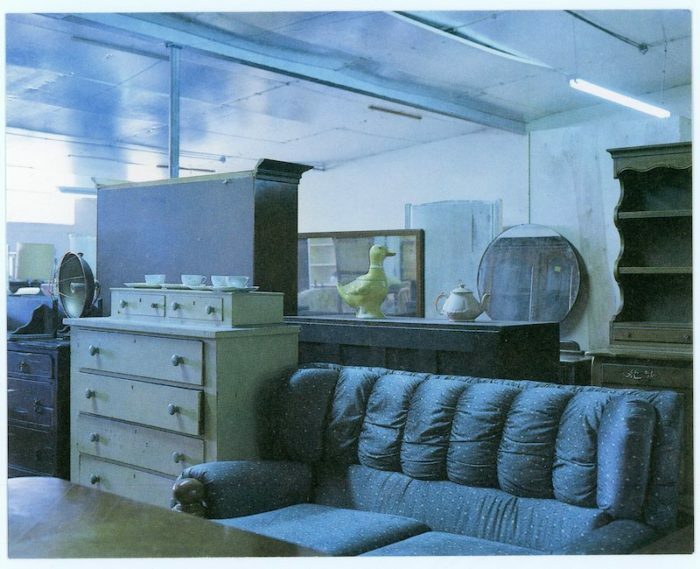 Photographs by Louise Lawler. Fixed Intervals: Allan McCollum/Louise Lawler. 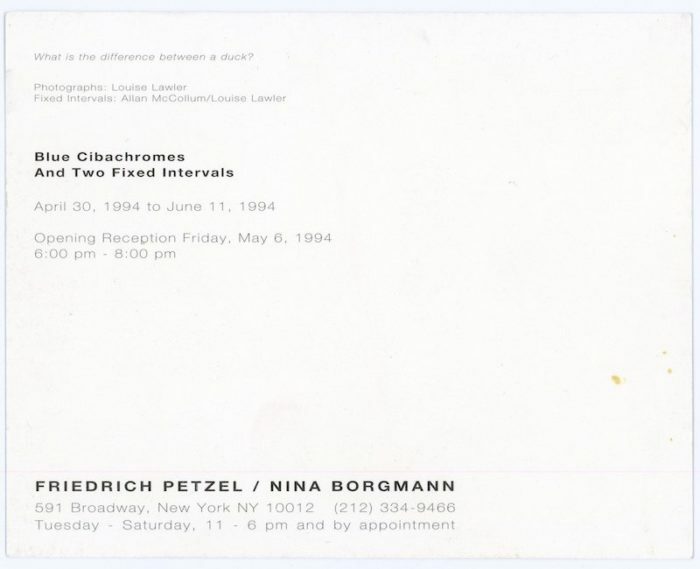 Card, 1994.